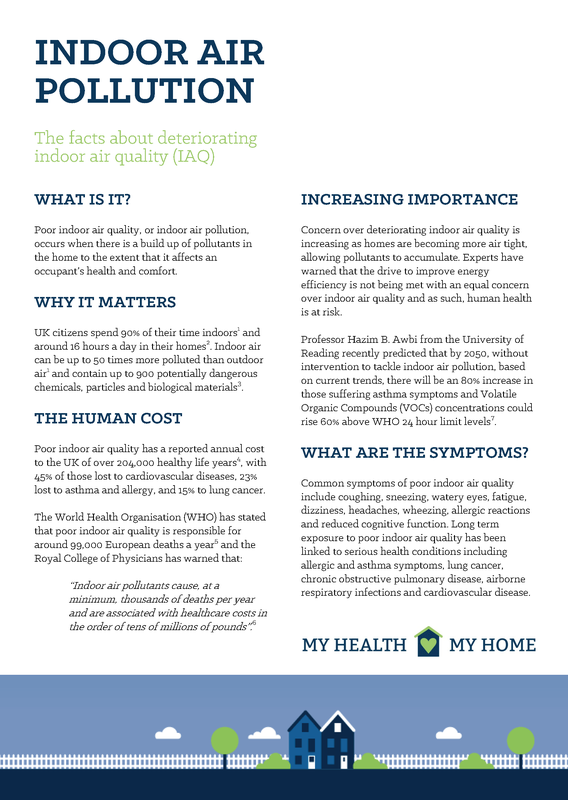 Indoor Air Pollution – The home of information on indoor air pollution and the My Health My Home campaign. 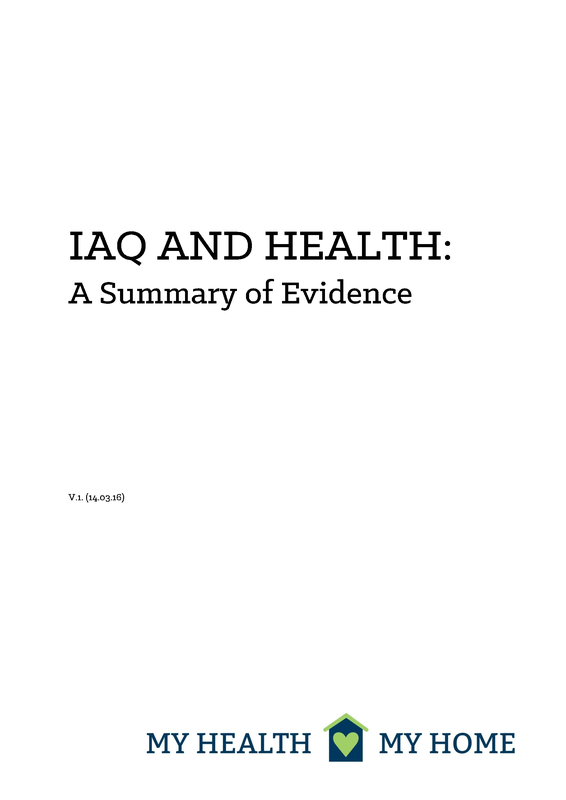 Poor indoor air quality (IAQ), or indoor air pollution, occurs when there is a build up of pollutants in the home to the extent that it affects the occupant’s health and comfort. We spend 90% of our time indoors and around 16 hours a day in our homes. Indoor air can be up to 5 times more polluted than outdoor air and contain up to 900 potentially dangerous chemicals and particles. As homes are becoming more air tight, there is a greater chance that pollutants will accumulate, thus creating a higher health risk. 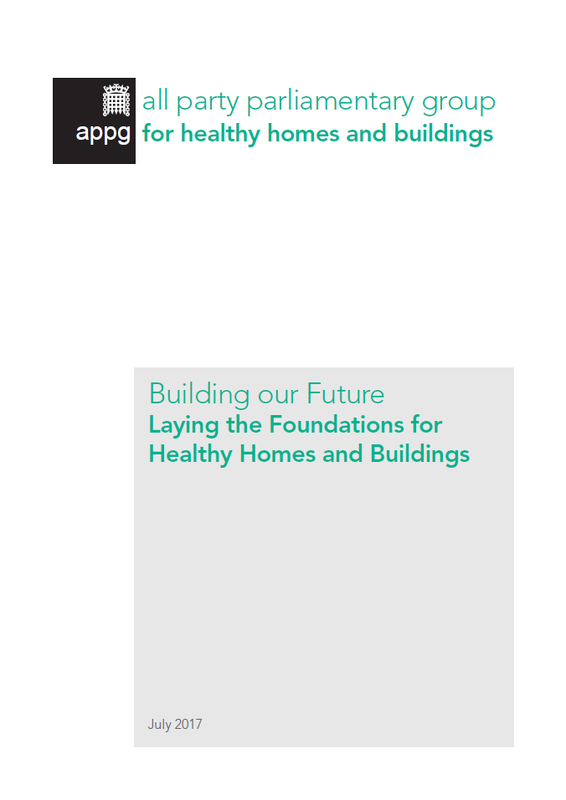 The My Health My Home campaign aims to raise awareness of the impacts of poor IAQ on health, promote effective ventilation as a means of managing IAQ, and ensure that good IAQ is a serious policy consideration in public health and building policy.